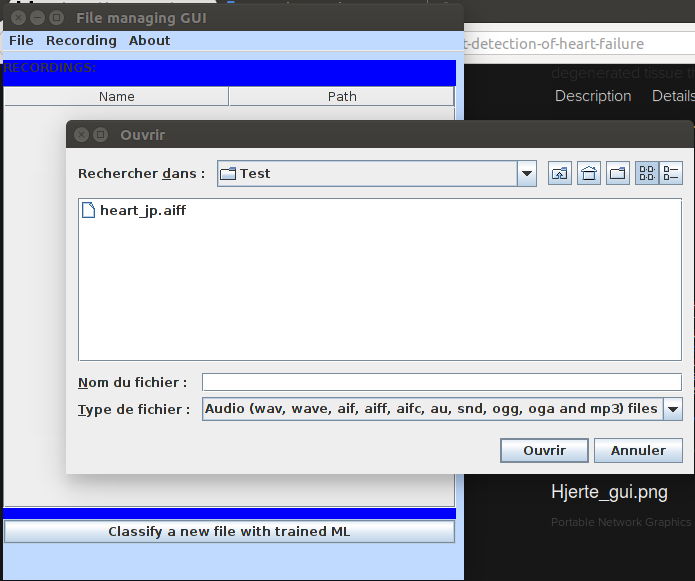 As for previous versions, you have to record the heart sound by yourself and transfer it on the Raspberry Pi. A fetal Doppler (~$75) is perfect for this purpose but you can also use a microphone. In next days/weeks I intend to study a solution with a standard low cost USB microphone. Please remember that the way you record, the quietness of the environment and the how body is positionned, has a great influence on the record quality. Here is a picture of the UI of the simplified version of Hjerte at version 0.1. The outcome of the classification process appears after a few seconds, there is a message which tells you if the heart sound file is similar or not to the training set. A numeric indication is also provided, at "0" there is no similarity found with the training set, and at "one" there is a perfect similarity, whatever that really means. You can record the heart sound file with a fetal Doppler, or a direct recording. But the Doppler method gives better results (no ambient noises). You must record your heart sound file in WAV format. A test file is provided (heart_jp.aiff). A fetal Doppler costs $50 and the executable and sources are available below. It is written in Java so you need it on your machine. 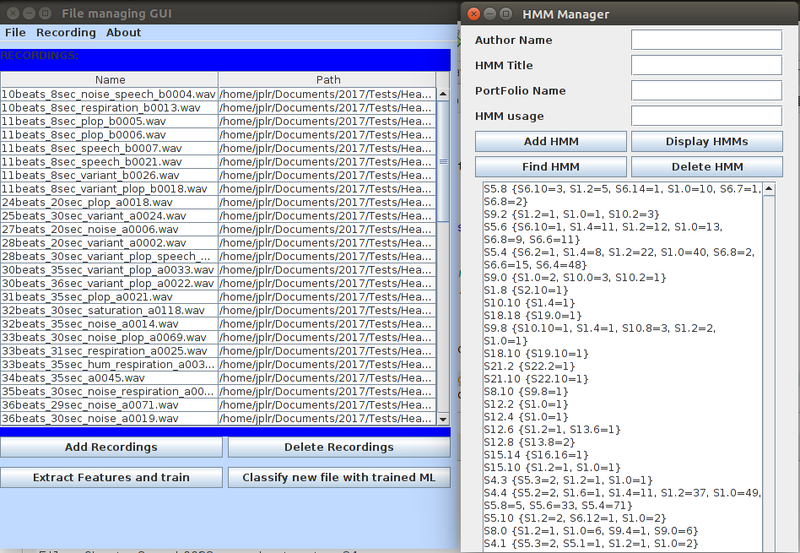 This is a PoC that uses HMM with near 300 heart sound files in the training set. Go to the ./dist folder and launch the jar file (on Windows you may use the .bat file). Please send me your remarks or comments.